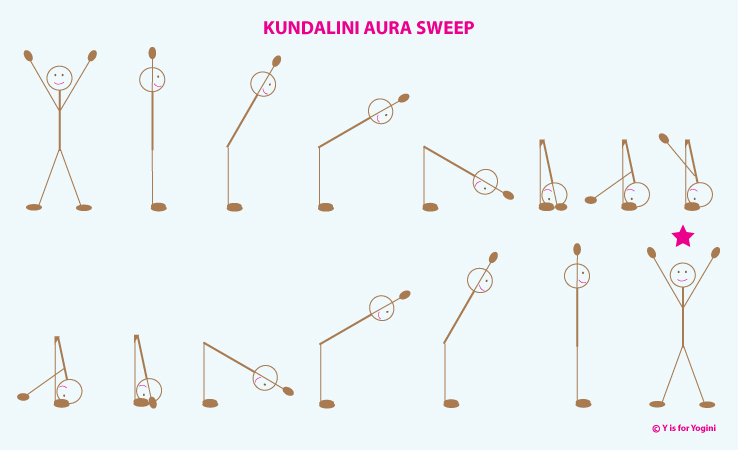 This set of three breath exercises balances the Ninth body — the Subtle Body. When I practiced this meditation series for the first time, I felt so clear, purified, and radiant that I was certain I’d look down and find myself walking on air. Begin in Easy Pose. Inhale in 16 short sniffs, pulling the navel in slightly with each one. As you sniff, hear the mantra “Sat Nam” (meaning: I am Truth / Truth is my Identity) in your mind. Exhale in 16 parts, again vibrating Sat Nam in your mind. Do this for 5 minutes. Lay down on your back. Stretch your arms out overhead (on the ground) with the palms up. Inhale slowly and raise your legs 6 inches. Exhale, releasing your legs to the ground, and press your chin to your chest. Continue on for 3 minutes. 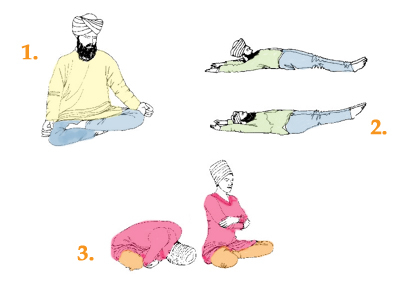 The breath for this exercise should be long, slow, and deep. After 3 minutes, rest for 2. Return to Easy Pose. 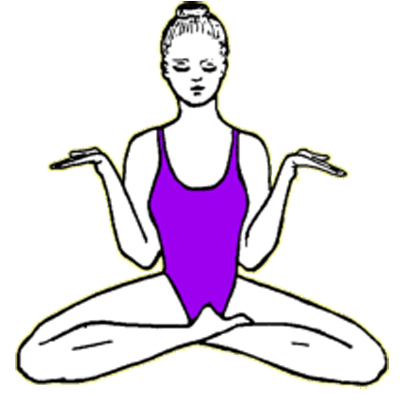 Fold your arms across your chest/ribs and hold opposite elbows. Inhale. Exhale, bending forward slowly and placing your forehead on the ground. Inhale up slowly. Continue for 3 minutes. Breath is long, slow, and deep. It is suggested that you cycle through this set three times. I have found that one cycle (11 minutes of activity) is quite powerful. See the illustrations above for visual details. A timer or phone with a twinkly alarm is very helpful in tracking the timing for each exercise. 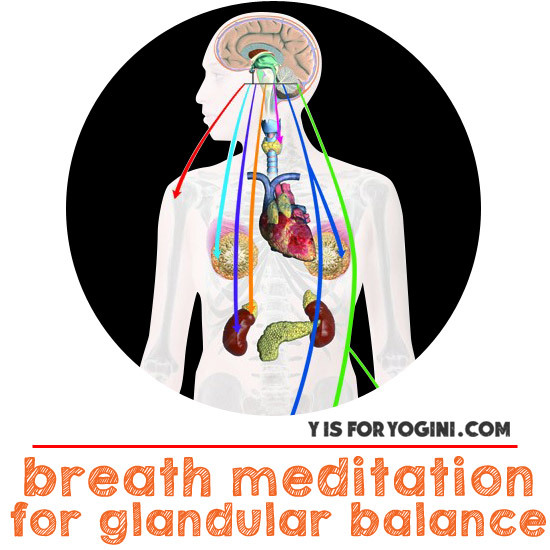 Breath Meditation Series for Glandular Balance as written above © Y is for Yogini, adapted from the original meditation series created by Yogi Bhajan. Let’s work on our infinite consciousness. I’m always here to answer your questions, hear your thoughts, and help in any way I can. Sending you love and the radiance of balancing your subtle body. I missed this yesterday! I’m on it now! Me too. This looks like a brilliant way to start the day. I meant to let you know I was joining in the fun. I am.